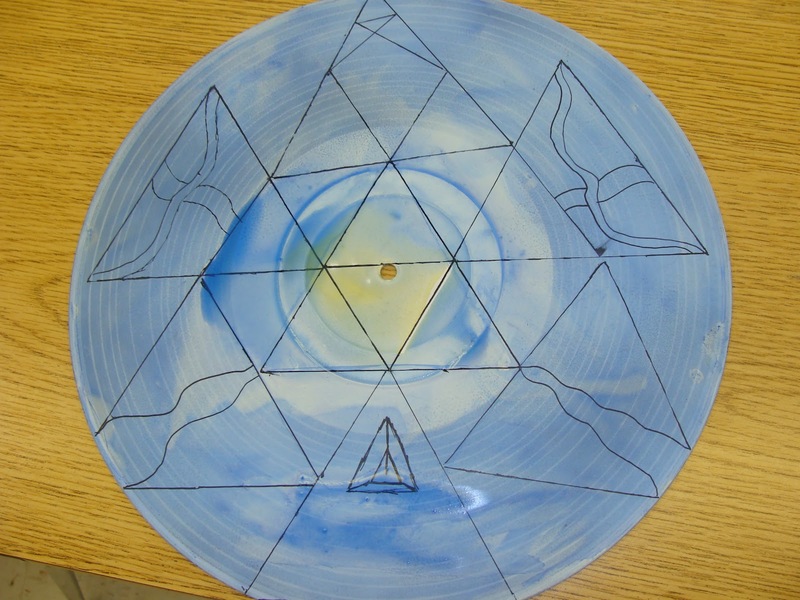 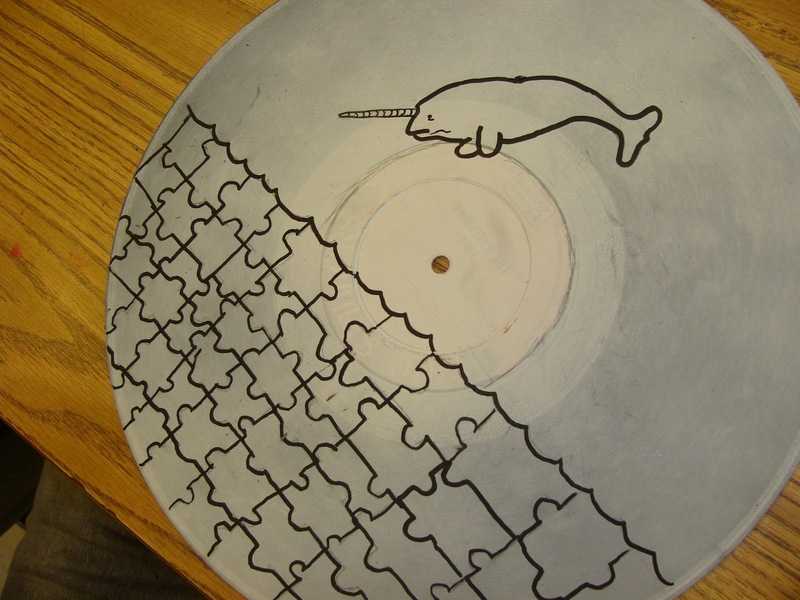 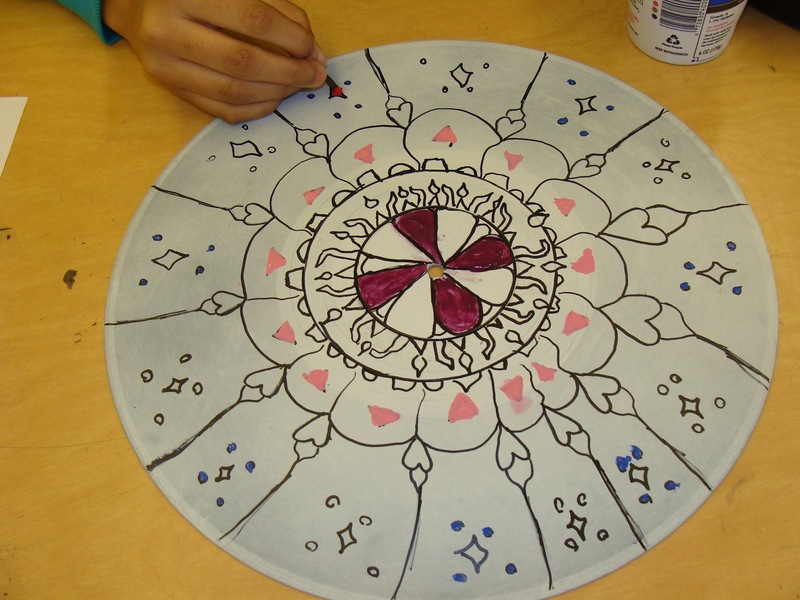 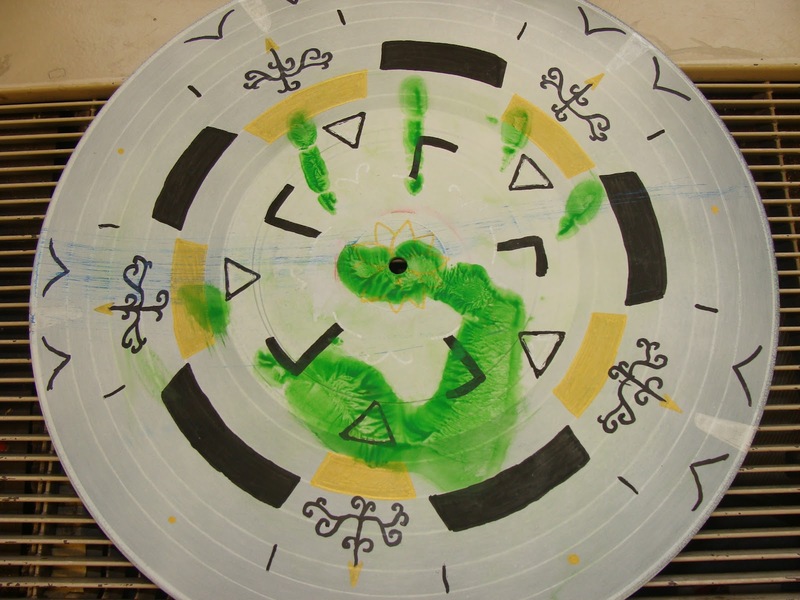 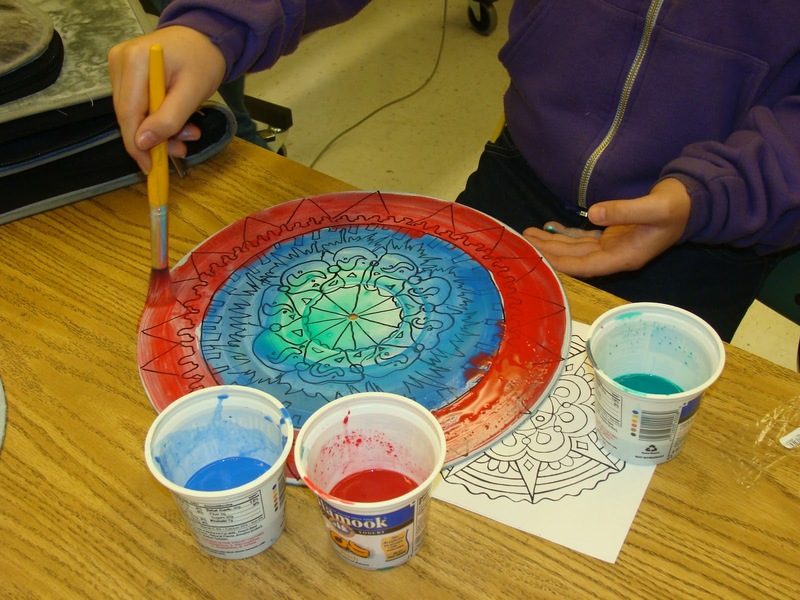 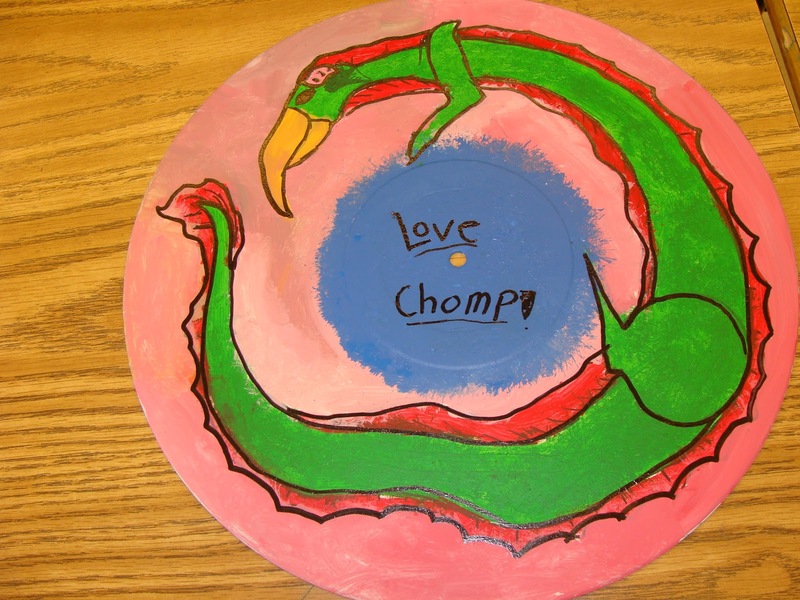 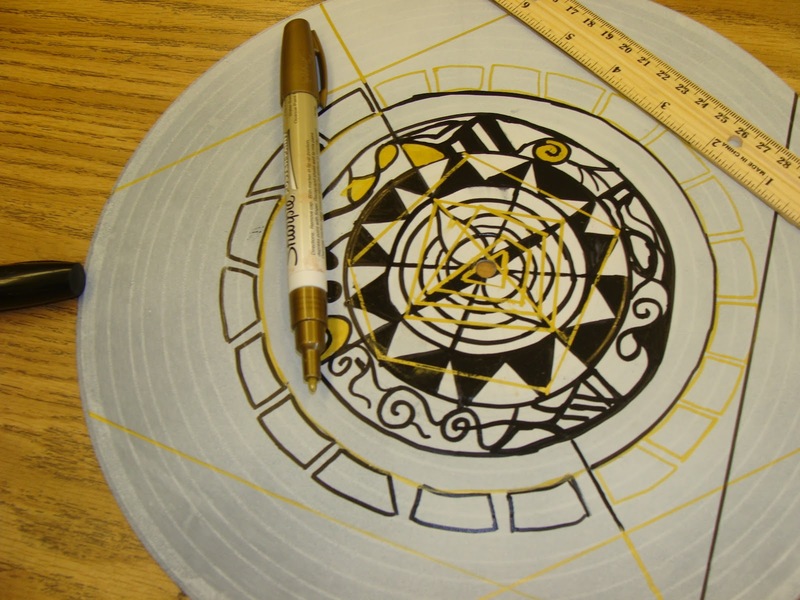 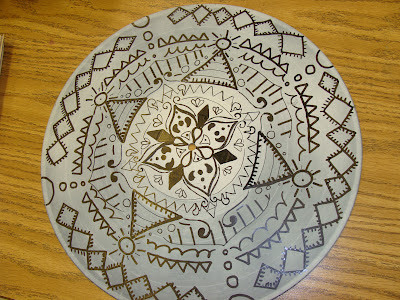 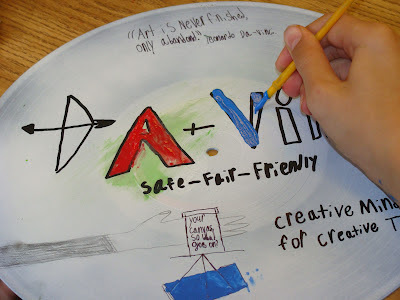 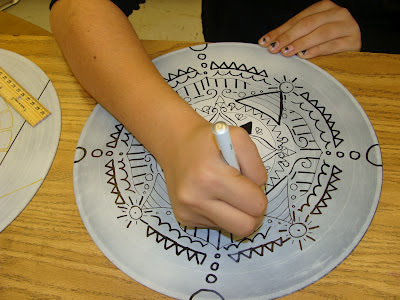 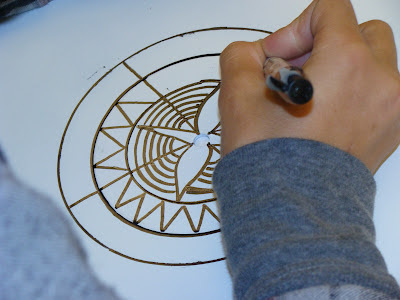 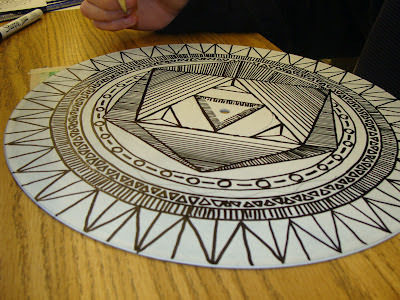 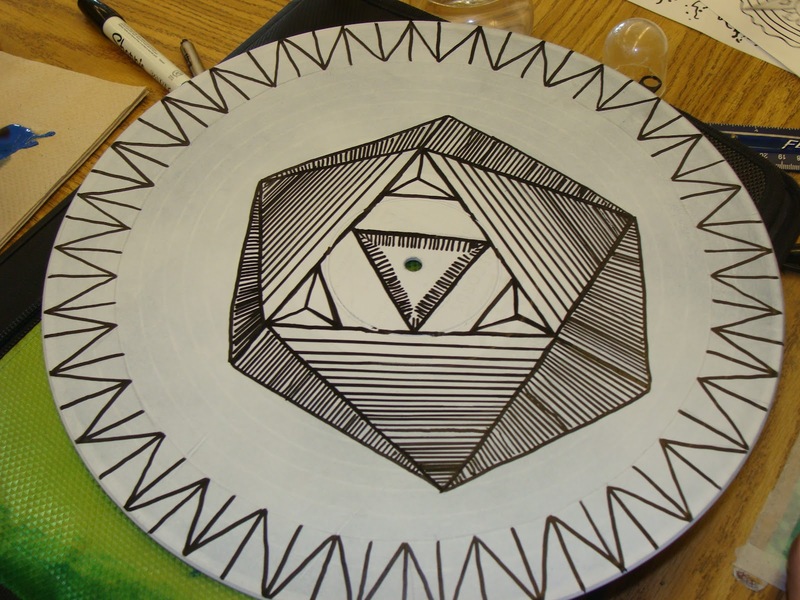 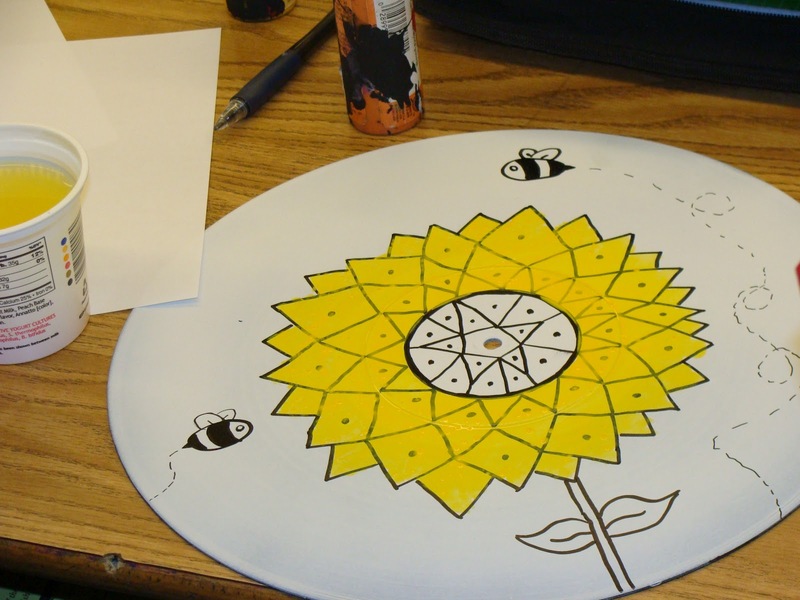 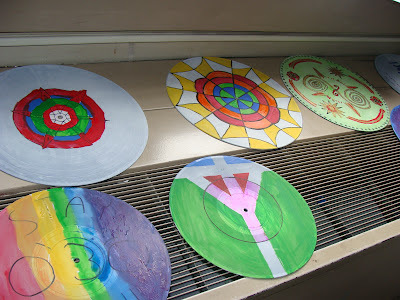 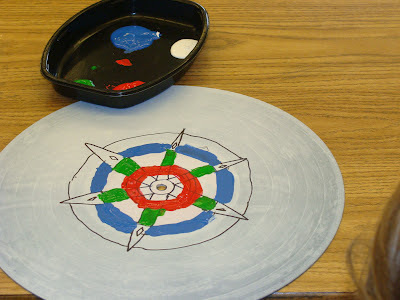 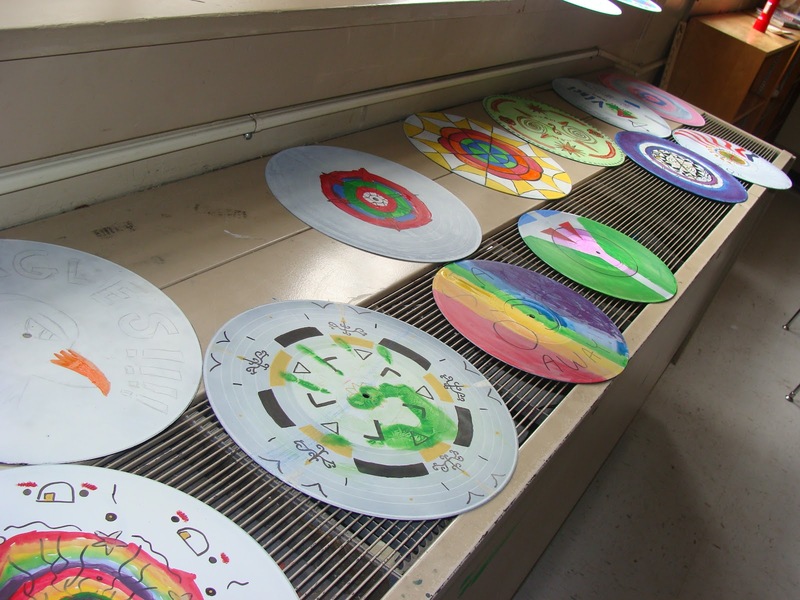 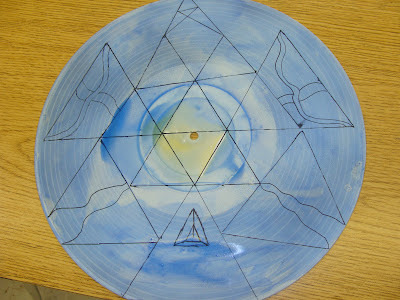 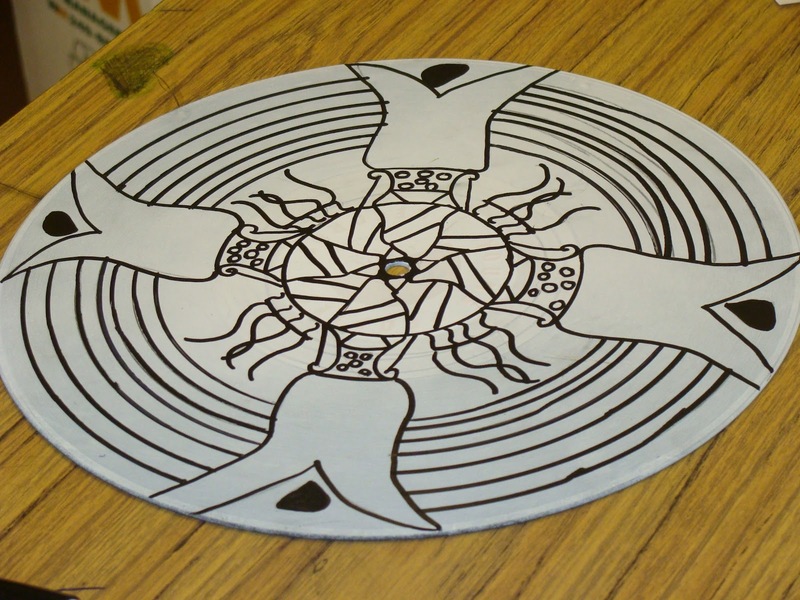 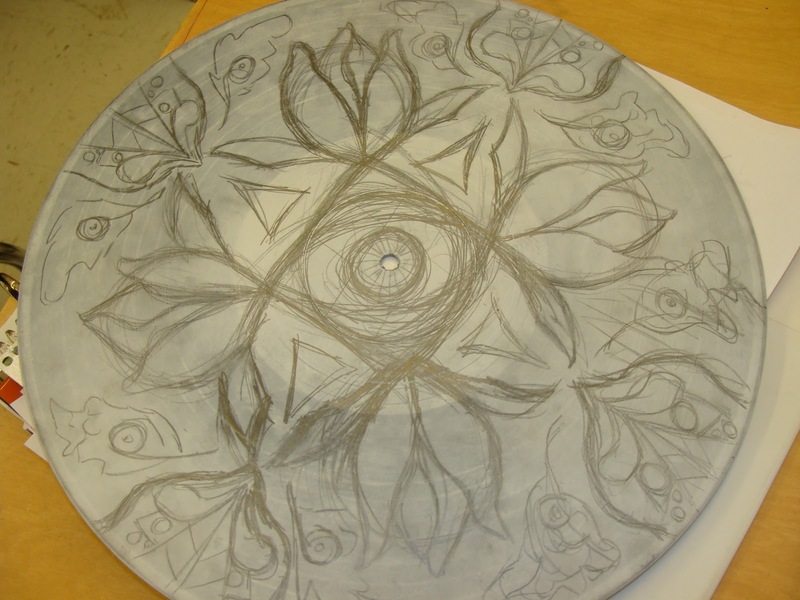 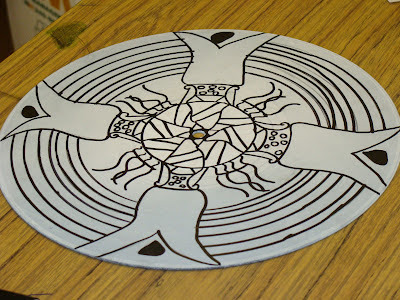 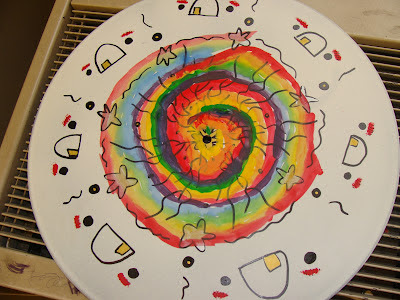 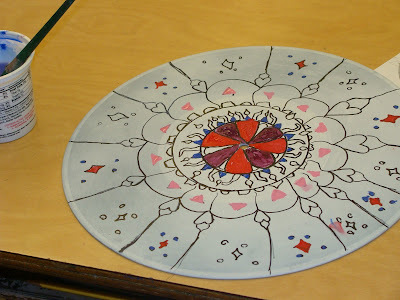 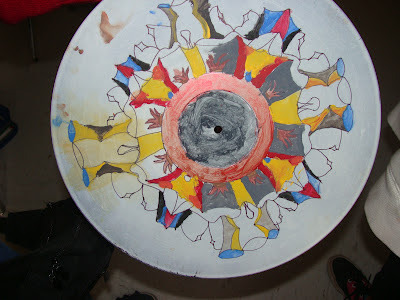 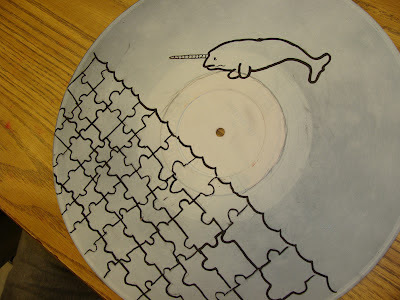 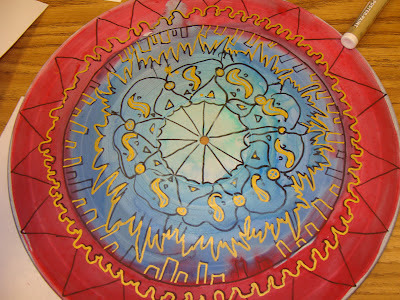 For the last two weeks, I've been volunteering my time to help a class at da Vinci Arts Middle School make mandala records for their upcoming auction. 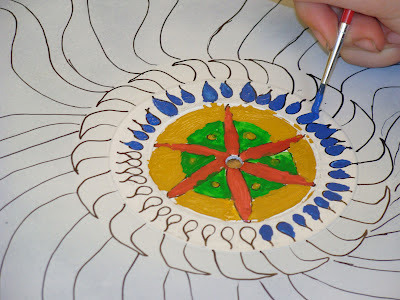 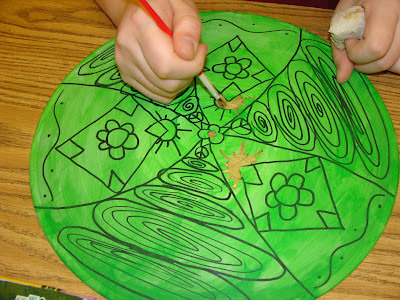 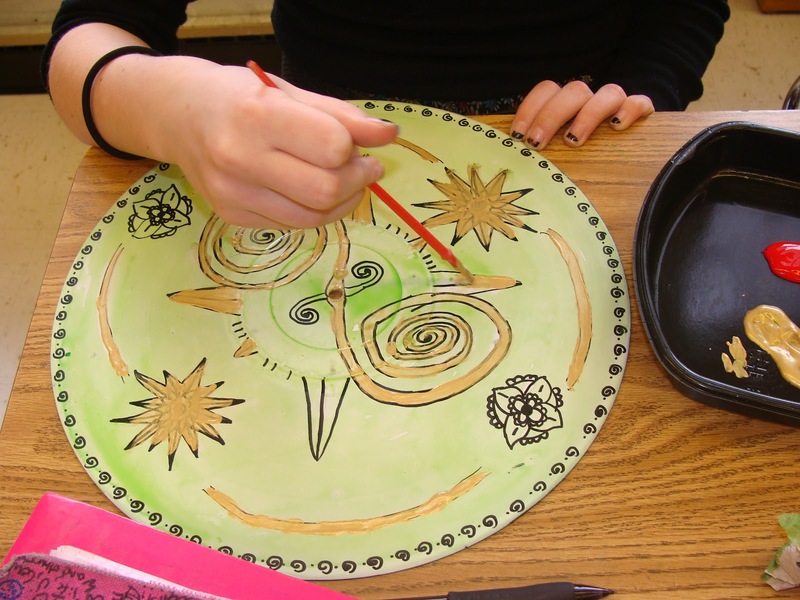 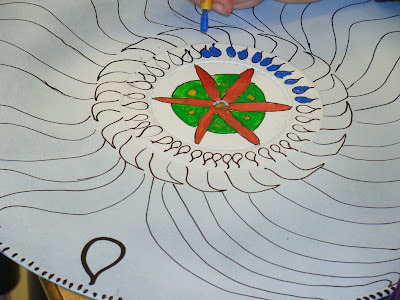 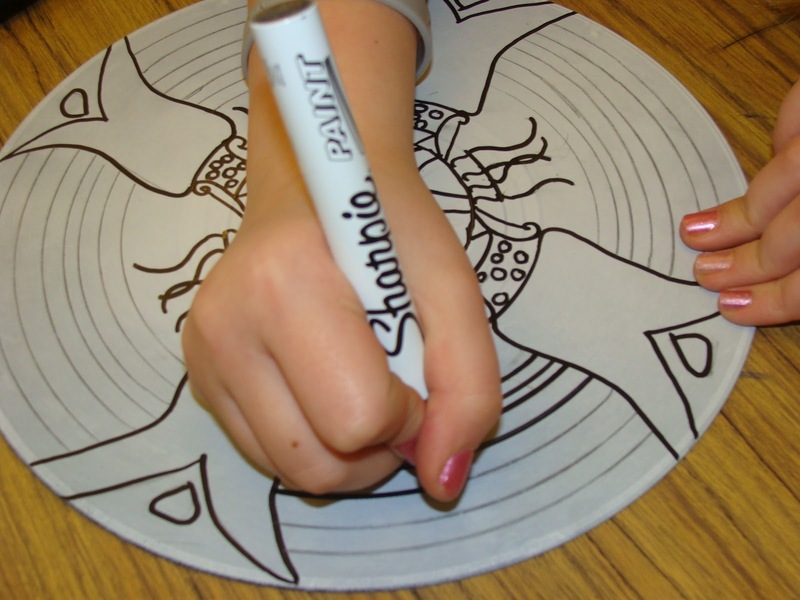 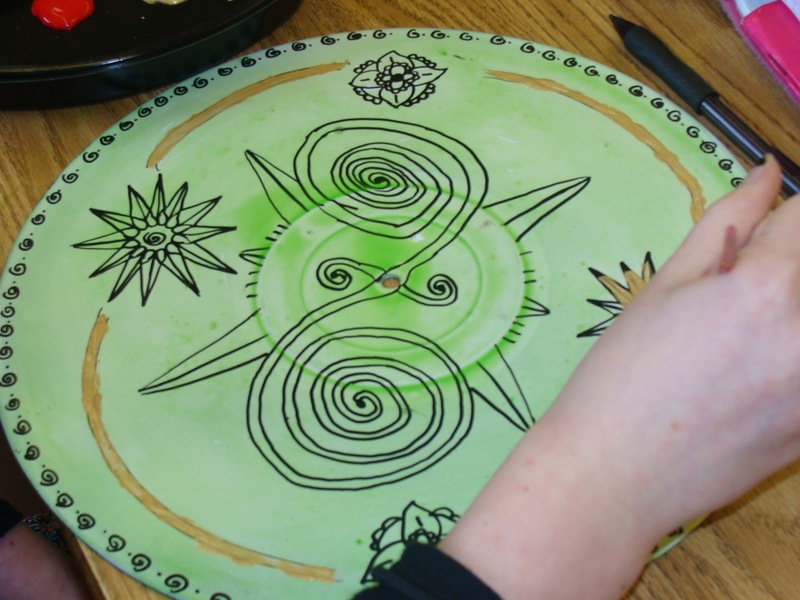 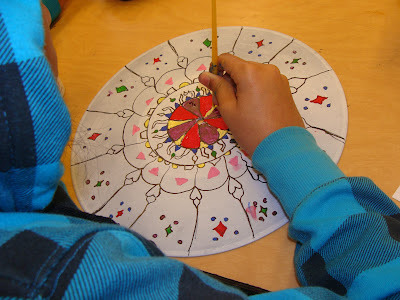 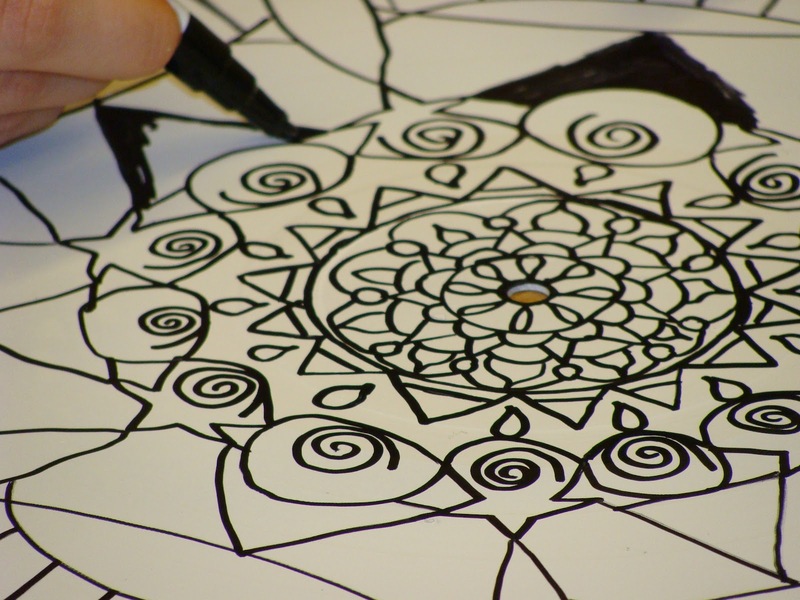 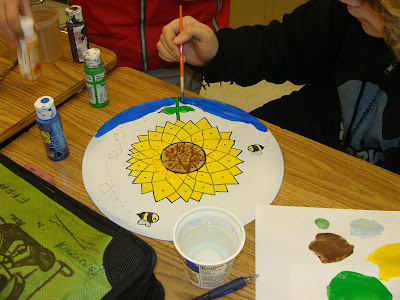 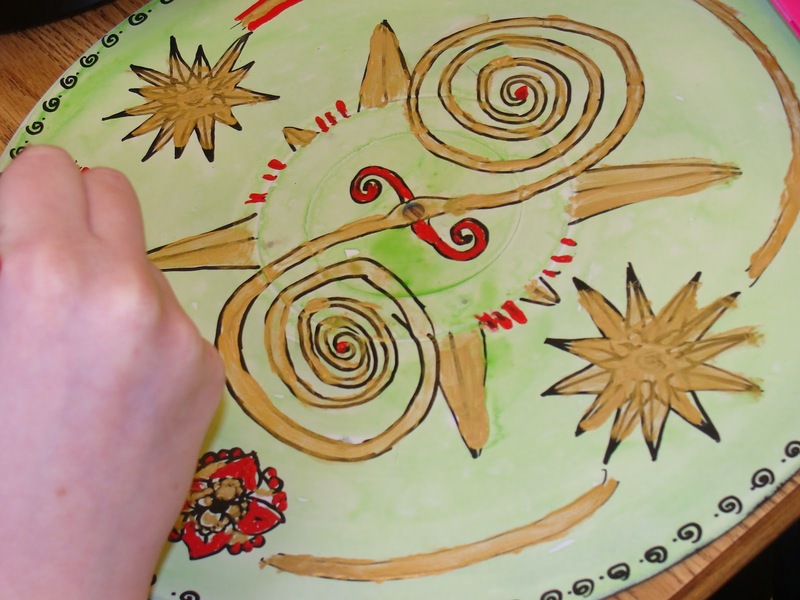 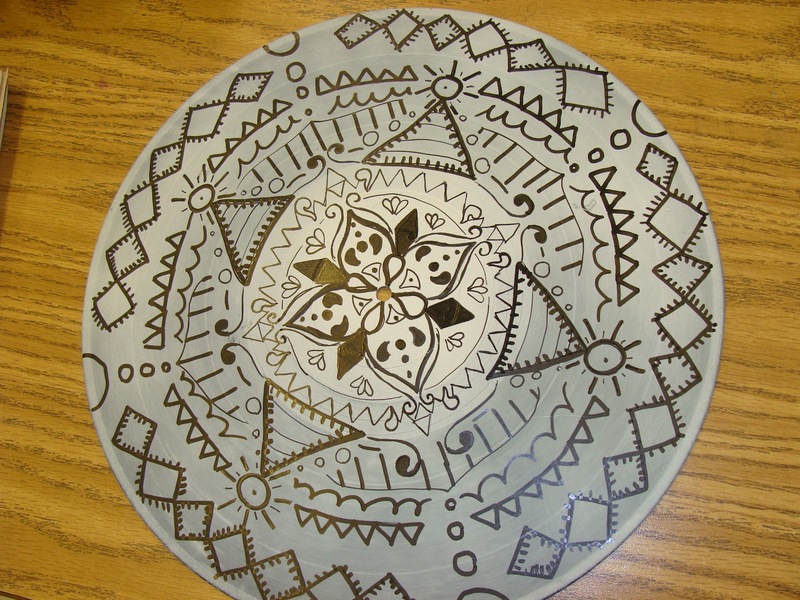 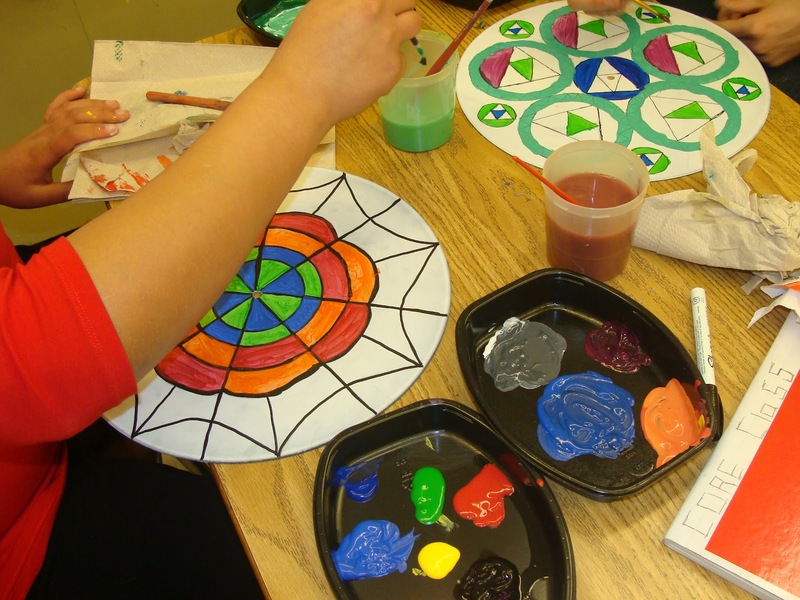 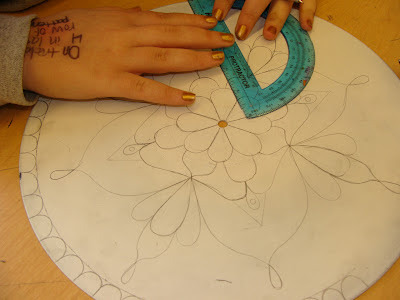 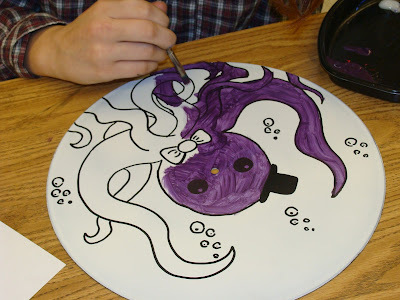 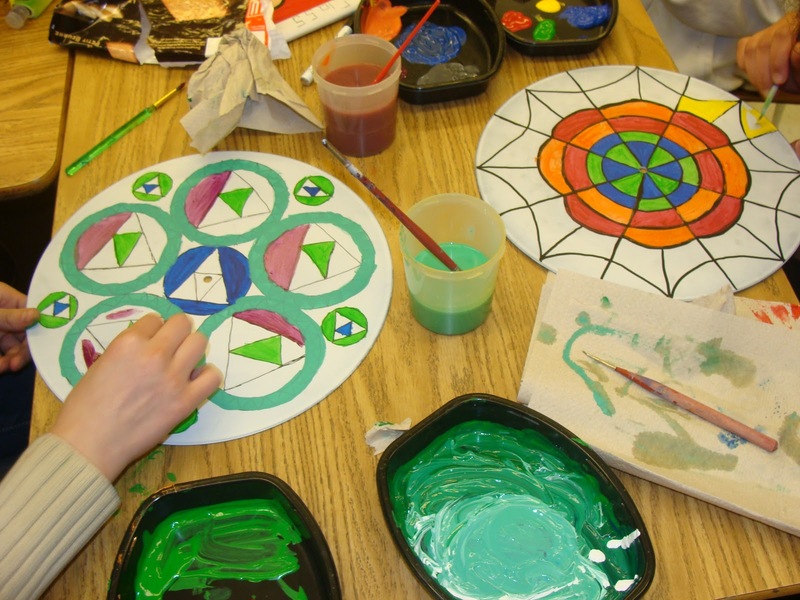 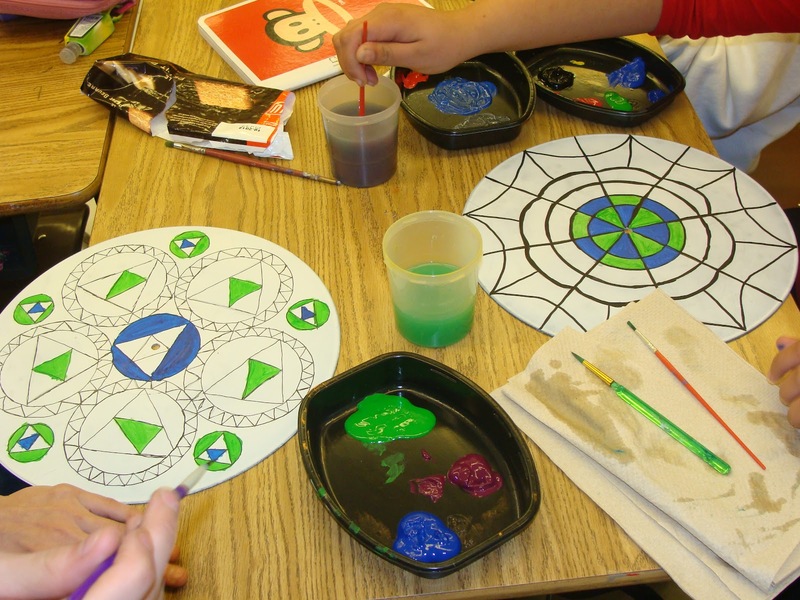 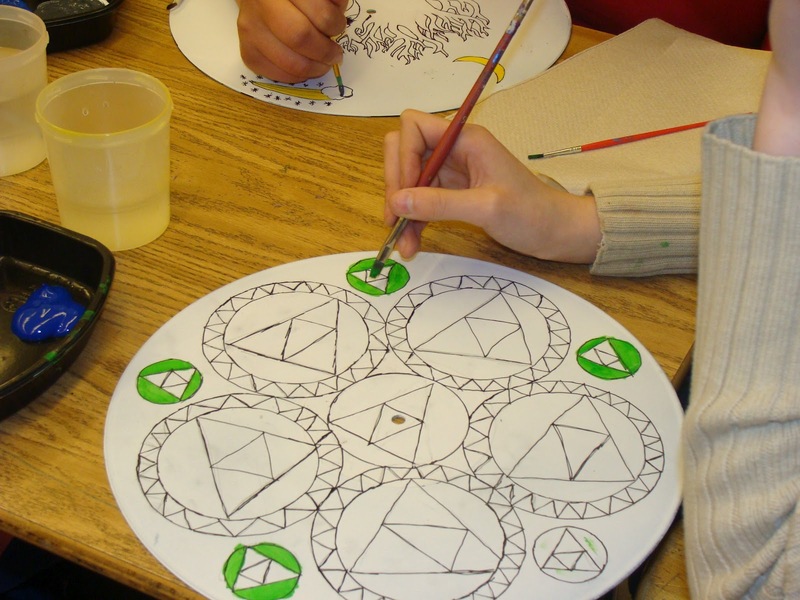 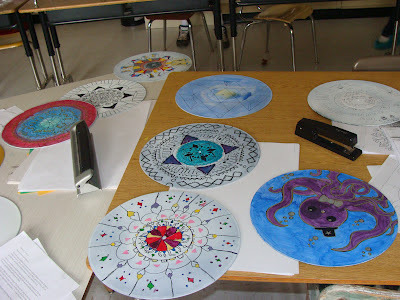 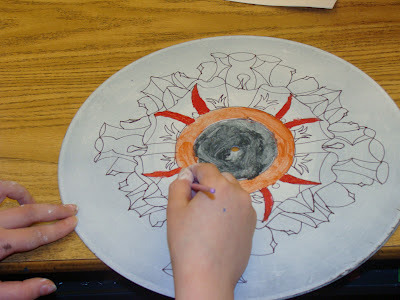 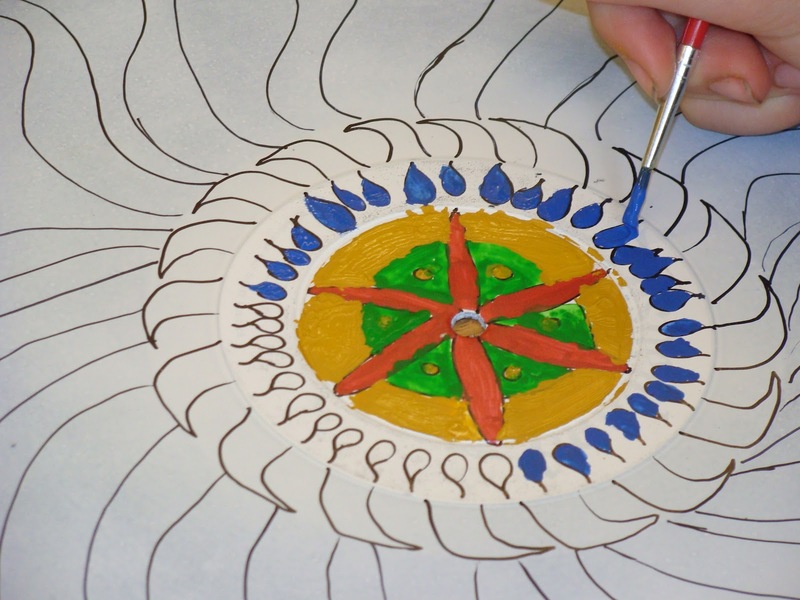 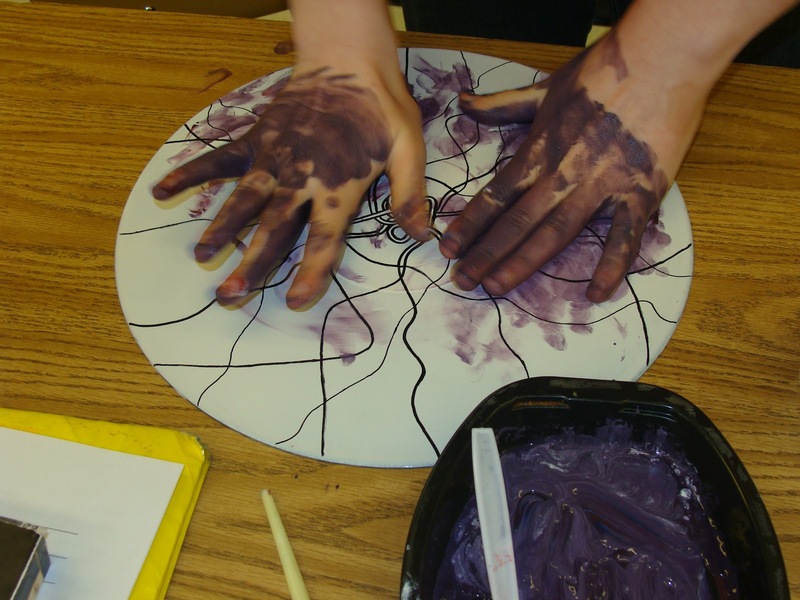 I always kind of hoped they might want my help with something like this while my son was a student there - although that never happened, I was happy to be asked and I've really enjoyed working with the kids and seeing their beautiful mandala creations. 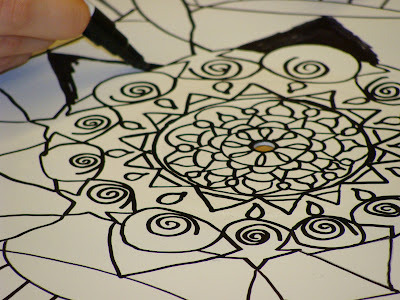 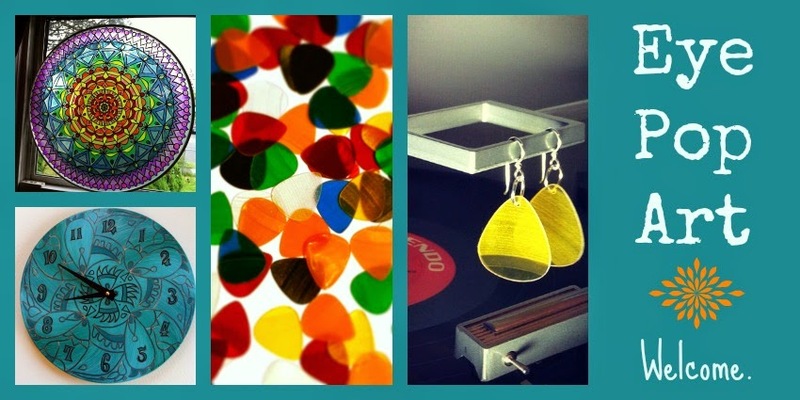 Here are some photos of their works in progress. 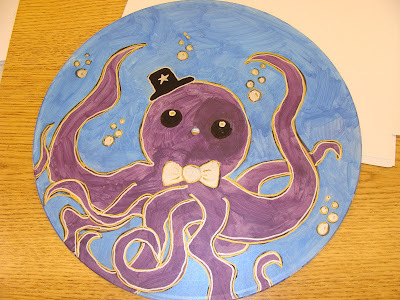 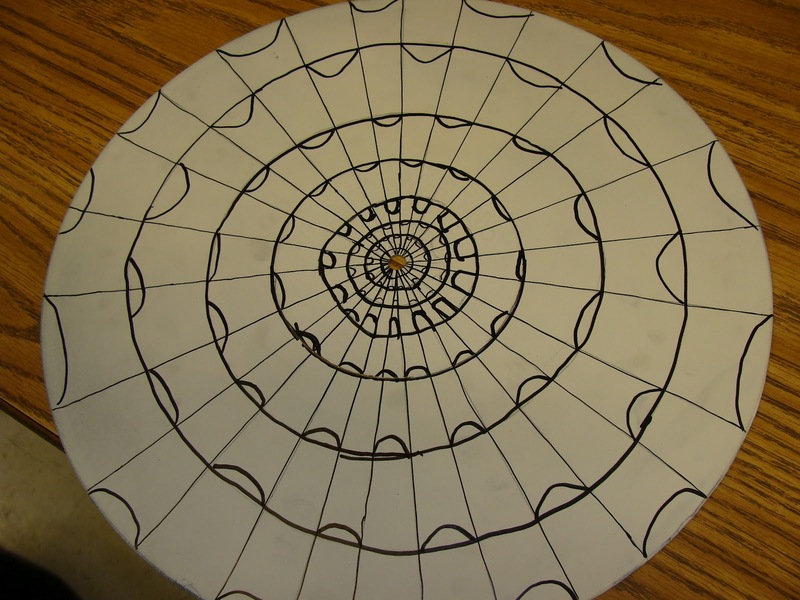 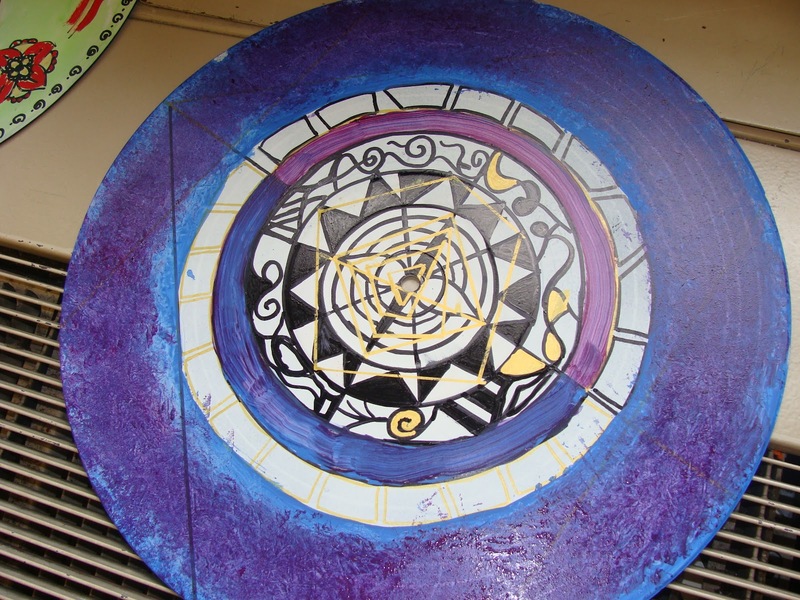 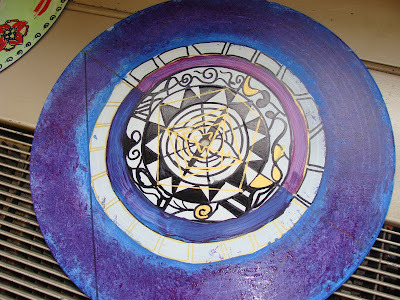 Once they are complete, some of them may be made into clocks, and some of them may be framed in groups of four, and some of them might be made into a room divider like mine.